If you haven't organized project structure with model previously but want to do it at this stage, you can move a diagram from root into a model or transfer a diagram from one model to another. Right click on the target model and select Sub Diagrams > Existing Diagrams... from the pop-up menu. 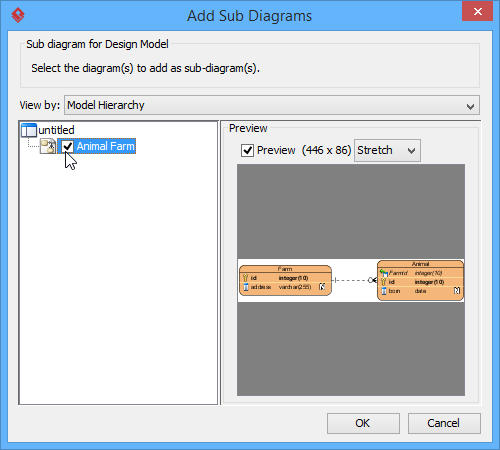 When Add Sub Diagrams window pops out, check the diagram(s) you want to move and then click OK button to proceed. As a result, the selected diagram(s) will be moved to the target model. NOTE: If you move a diagram which has the master view of model element(s), the model element(s) will be moved together with the diagram to the new model.